For something that’s been around for over 950 years, it’s amazing how new lychee is to most people. Native to southern China, lychee has been cultivated since at least 1059 AD. Yet a quick search of the major supermarkets in my area yielded only one store that carries canned lychee in heavy syrup. None of them carry fresh lychee. 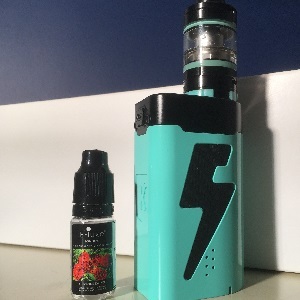 It was a new flavor to me just a few months ago when I reviewed an ejuice with lychee, strawberry and lemon flavors. I recently received a shipment from Eliquid Boutique of London. One of the ejuices they sent is Luscious Lychee. Lychee’s flavor has been described as a cross between grape and rose or pear and watermelon or grape, strawberry and watermelon. Luscious Lychee opens with an earthy taste that reminds me of muscadine grapes. The best way I know to describe it is earthy yet mildly sweet. That flavor is what greets you on the inhale, followed by a slight tartness. On the exhale there’s a light, almost sweet floral note. Maybe that’s the rose essence I’ve read in other descriptions of lychee. The vapor has a slightly heavy essence that’s influenced by that initial flavor. The throat hit is in the mild to medium range. The aroma is unique, earthy with a floral note. I vaped Luscious Lychee over the course three days. My initial response was mixed. That first inhale of earthy, juicy flavor is so distinct that it took a little getting used to. But in short order the flavor had begun to grown on me. It’s got a slightly sticky sweet texture, yet the flavor is light and somewhat refreshing at the same time. Lychee is going to be somewhat of an acquired taste for most people, but I think it’s one that will be worth that short acclimation period. Luscious Lychee is sweet and fruity and quite enjoyable. 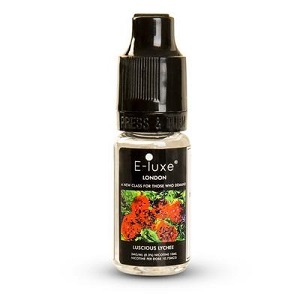 Luscious Lychee is from the Eliquid Boutique E-Luxe Classic Range. 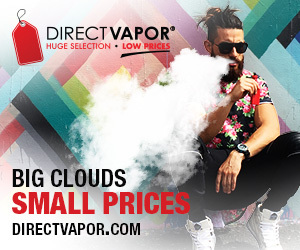 All flavors in this line have a nicotine level of 3 MG and are mixed in a 50/50 PG/VG ratio. They’re available in 10 ml bottles (thanks to the UK Tobacco Product Directive [TPD] which limits retailers to a max 10 ml size) for ₤3.50 or about $4.56. I vaped Luscious Lychee in the Kangertech Five6 tank on the Five6 mod. Eliquid Boutique provided the bottle of Luscious Lychee I sampled for the purpose of this review. 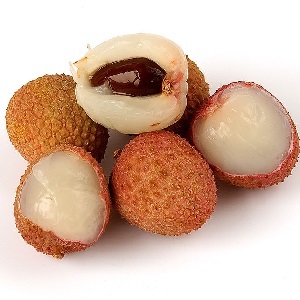 Order Luscious Lychee from Eliquid Boutique.